One dish I ate and loved back in my hometown was Filipino-style spaghetti. 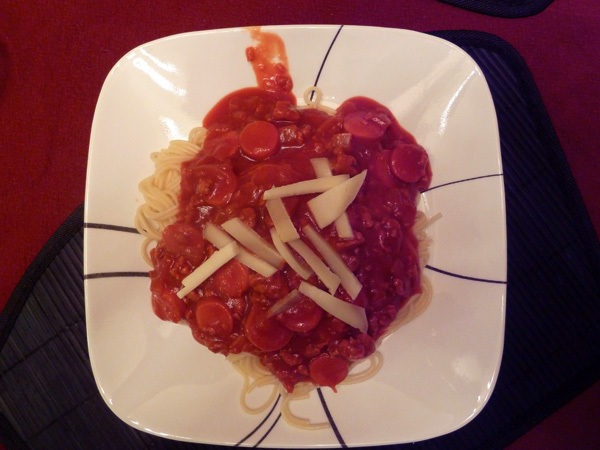 On the surface it looked like normal spaghetti, but it was sweet, and bright red, and amazing! 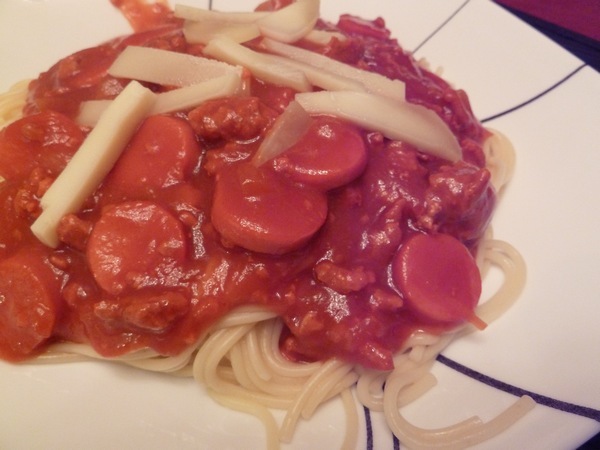 I got a craving for it, and having no Jollibee's or Filipino friend nearby, decided to unravel the mystery behind the delicious sweet spaghetti via the internet and Friend E.
Amazingly enough, the secret ingredient is banana sauce! Banana sauce makes everything better. I used this recipe, though slightly modified since exact amounts aren't really given for everything. 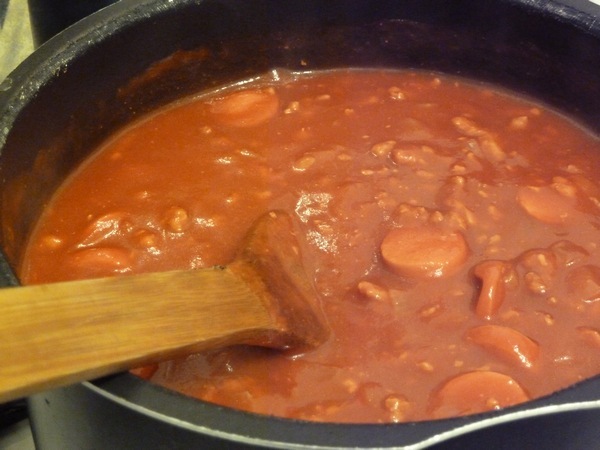 Makes one giant pot full of sauce. Probably at least 8 servings worth? 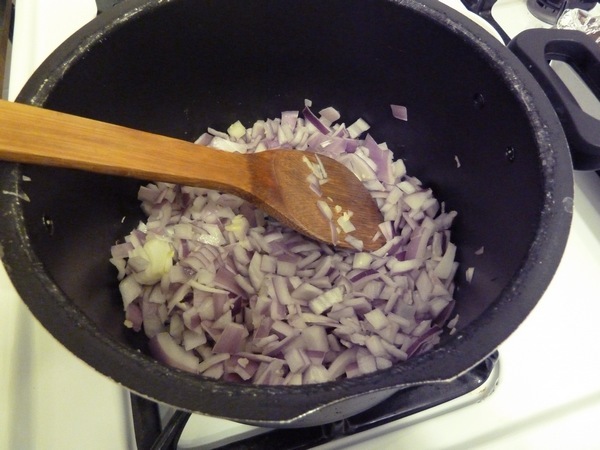 First, saute your onion and garlic. 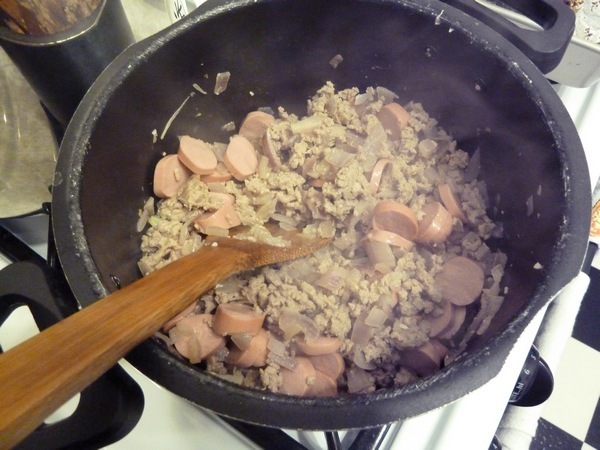 Then cook your ground meat, and add in sliced hot dogs after the meat has browned. If you can find the red-colored Filipino hot dogs, then you can add +2 to your authenticity score. Hehe. 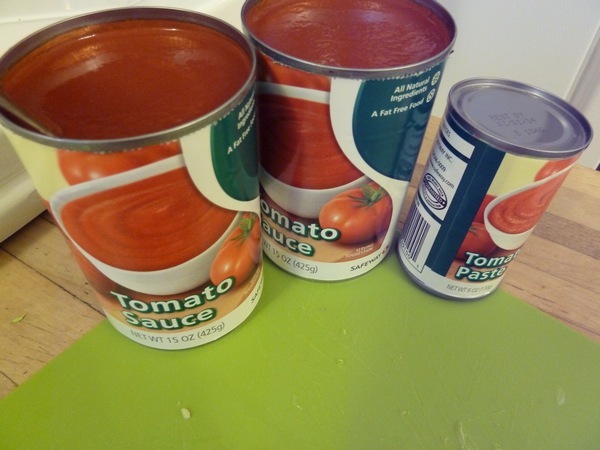 Next, add your tomato sauce and paste. As well as the secret ingredient, banana sauce! And simmer it all together. Add brown sugar to find your favorite level of sweetness! Yummm. Though these "finished" photos are a little off with the sauce-ratio. There should be more spaghetti noodles than spaghetti sauce, since this sauce is really, really strong on flavor. So a little sauce goes a long way! 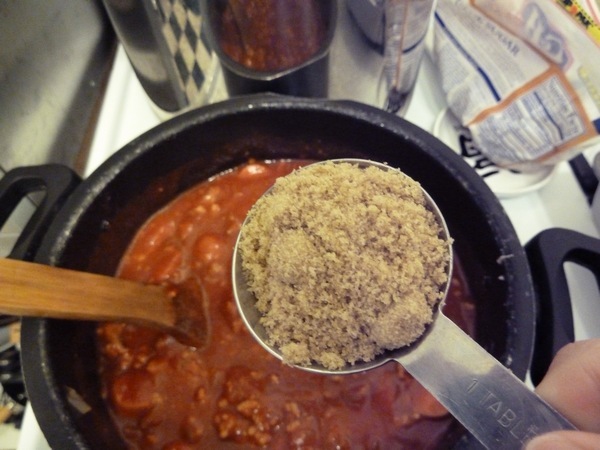 This recipe definitely hit the nostalgia spot for me, and it's a good thing there's so much sauce left! I can save some for more nostalgia later! 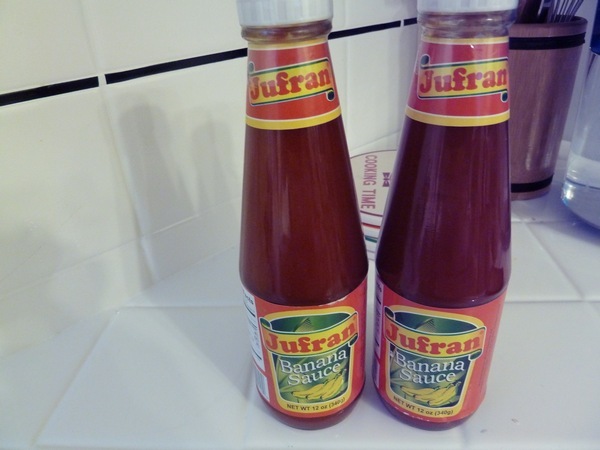 I've never heard of banana sauce before but would love to try it! whoa what is this banana sauce stuff? fascinating! I've never heard of banana sauce. What makes it red?